A luxury yoga timer! 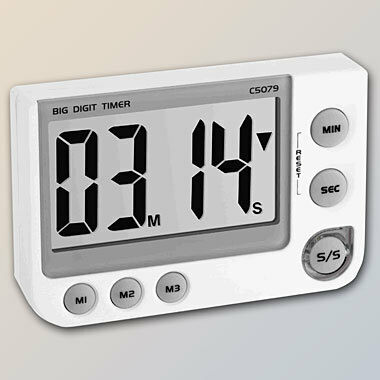 Digital timer and stopwatch with large display, adjustable up to 99 min. and 59 sec., memory function with 3 favorite time intervals, LED warning light in green and red, as well as 3 different volume levels. With foldable foot rest, hanging eyelet and magnets. 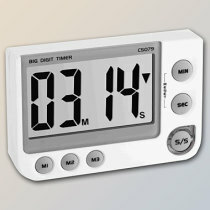 We supply the Yoga Timer AKASHA incl. 2 pieces 1.5V AAA batteries for long endurance. Compact dimensions: 60 x 90 x 20 mm.